DMsRus | A collective of Dungeon Masters sharing ideas, tips, experiences, and stories of their own. We are DMs, DMsRus. 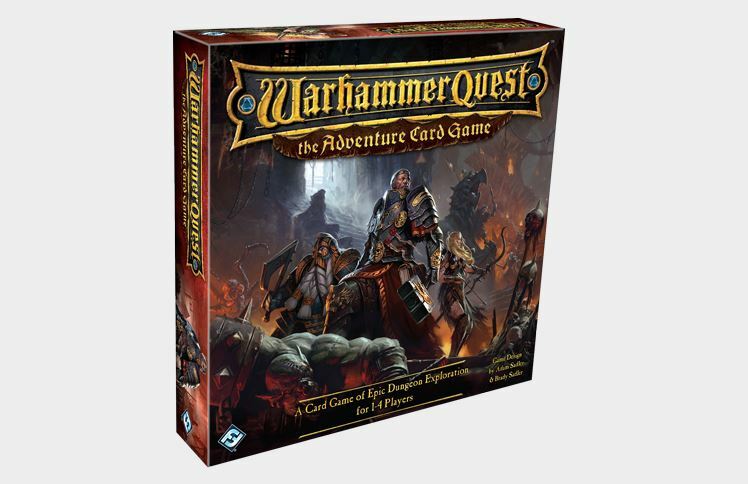 I’ve gotten my copy of Fantasy Flight’s new card game based on the old Warhammer Quest board game. I am a big fan of the original, I don’t own a copy (prohibitively expensive!) but I’d love to see a reprint. Maybe we’ll see something more for this little beauty. I’m excited. More to come after the first playthrough! 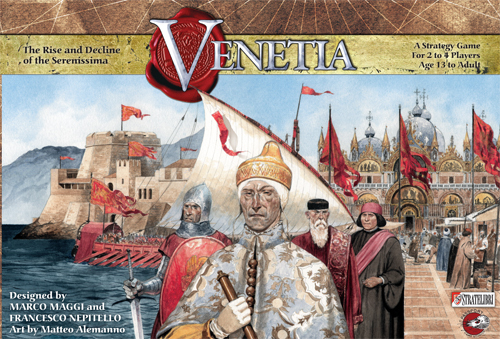 So recently my group has delved back in to the venerable pages of D20 Modern. 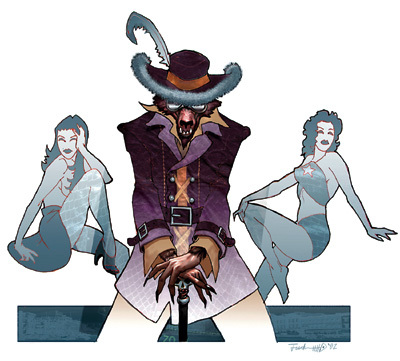 Modern, being the post-fantasy D&D equivalent made by Wizards of the Coast, was the answer to all things urban fantasy, modern day, past and future for those of us who delve in to different worlds. With source books ranging from D20 Past, D20 Future and D20 Apocalypse there isn’t anything you can’t do with D20 Modern story-wise. My personal favorite is Urban Arcana, which places elves, dwarves and other fantasy races in the modern times. Gnoll pimp anyone? Don’t laugh, it’s in the book. 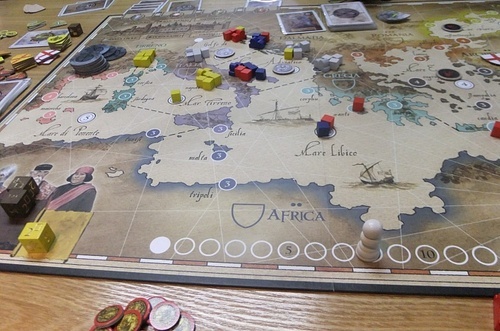 So the recent game I’m running uses a little-known source book called (Wait for it!) Dark Matter! Dark Matter is a supernatural horror setting that isolates the players in a world steeped in conspiracy and black ops-style covert operations. It is the quintessential horror setting for any RPG. 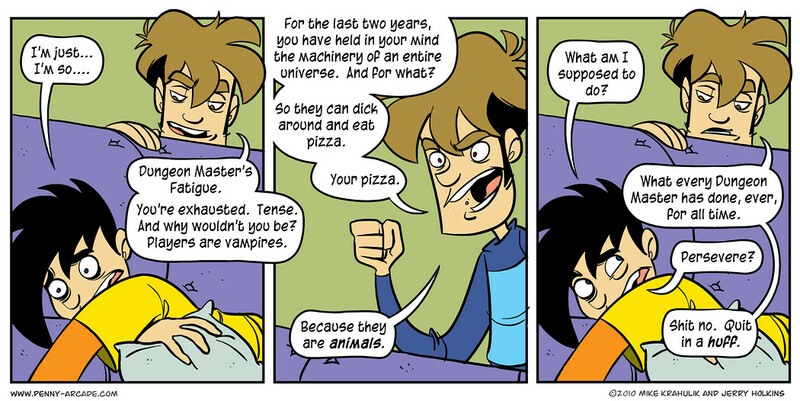 Originally published for Alternity, Dark Matter has roots back to the days of TSR. 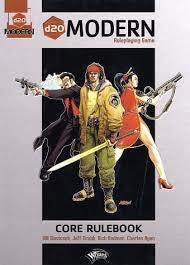 It is based upon the RPG Bureau 13, a little known RPG of the same mien. If you have an urge to game a modern day setting with touches of horror, supernatural, aliens, and conspiracies Ala The X-Files this is your setting! 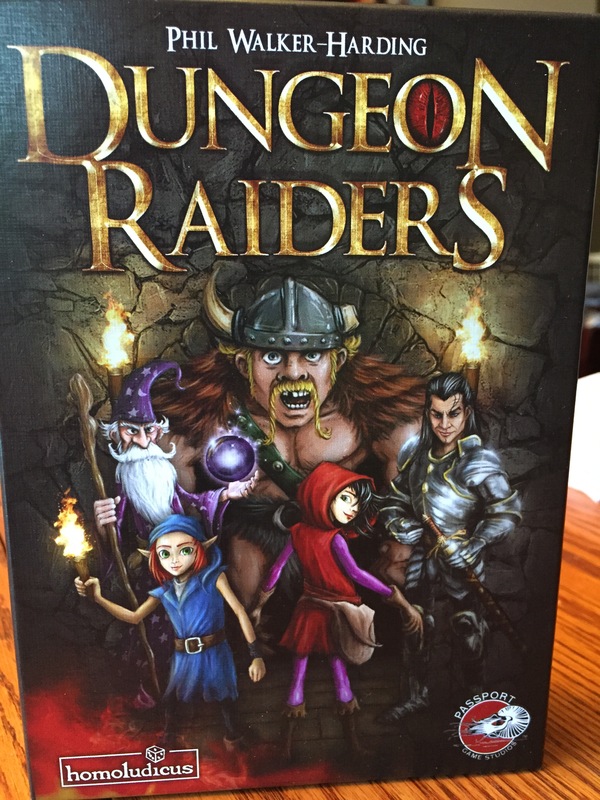 The DM has a new game to share Dungeon Raiders by Passport Game Studios. Now I’ve seen lots of these types of games through the years so we’ll see how things play out. See what I did there? 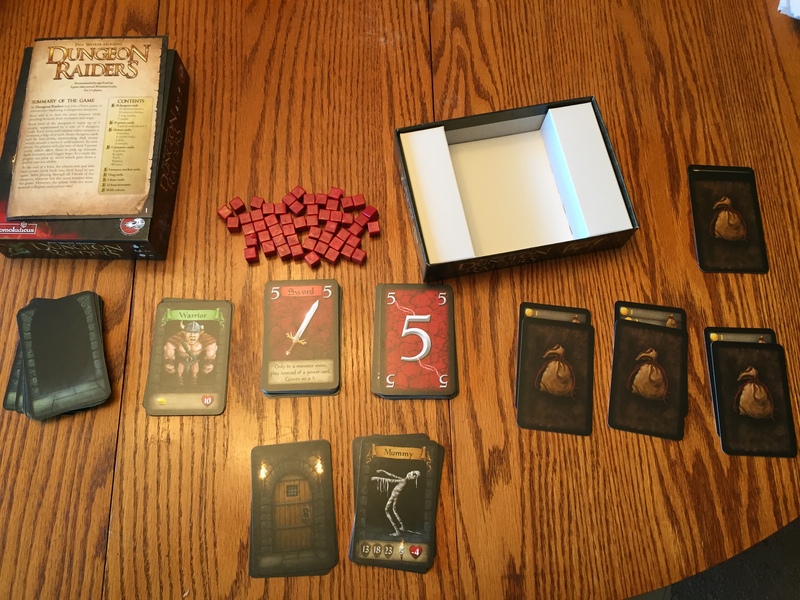 The first thing to note is that the box is pretty sturdy, as are the cards and components. The cards feel solid unlike some games I’ve played so no cheap cop-outs there, plus for Passport. The cubes are plastic, not the wooden fare we’re used to and I must say I’m quite happy with that. No more snagging or splinters. 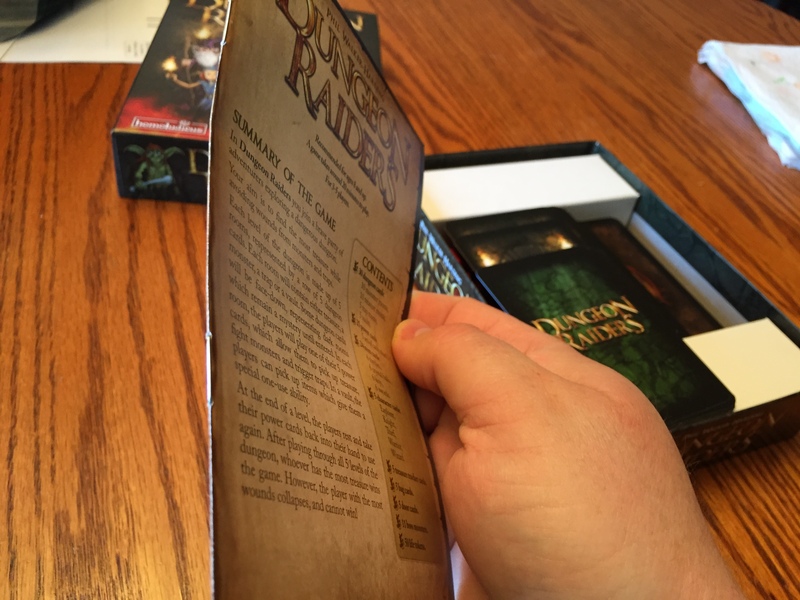 The rulebook is crazy small and that in my book is another plus, I’m a big fan of games you can just open and play right out of the box. Here is are the card decks separated. You have a dungeon deck, heroes, items, action cards, dungeon doors, boss monsters and treasure counters. Fairly simple! You start off by shuffling the 30 dungeon cards, removing 6 to keep it random then turn 12 of the cards over and reshuffle the deck. I was confused first too but bear with me, it makes sense! Once you do that you lay out the item cards (which in my mind represent trips to town) and the dungeon levels. When laying out the dungeon levels you put one random boss monster card on the bottom of the stack then divide the stacks all up in to fives, putting a dungeon door on each stack. The dungeon layout goes like so. The first level is the one on the bottom, I’ve discarded the door and laid them out top card on the left-hand side. This bottom row represents the first level of the dungeon. The other four levels are above (under the dungeon doors of course). 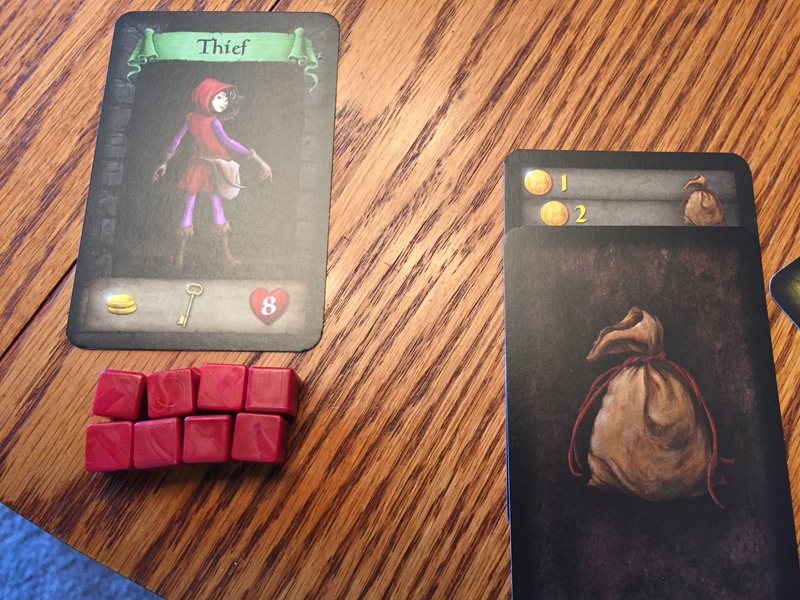 Divvy out random hero cards (shown below), health cubes per the number in the heart and set your treasure counter to the number of starting gold (the stack on the left). The middle icons represent a number of items you start with as well, take one of those from the stack. As you can see above we’re all prepared to start. Warrior, Thief and Knight. Each is given a 1-5 card and their starting items and you’re ready to bid! Why do I say bid? Because that’s kind of what it feels like but that’s a good thing. 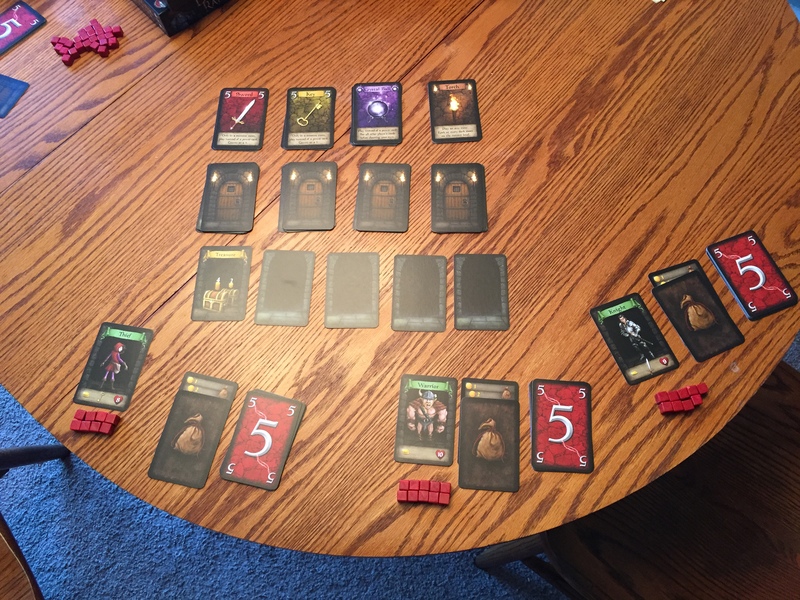 Each player selects a card to put against the first dungeon card in line. Once everyone has chosen, reveal your cards. Monsters need to be defeated or the lowest bidder takes damage, treasures are won by the highest number, and vaults (like a mini store) mean you buy the item represented by your number. Where rules are concerned this game is pretty straight forward. It reminds me a little of a lite version of cut throat caverns and in my opinion that is definitely not a bad thing. 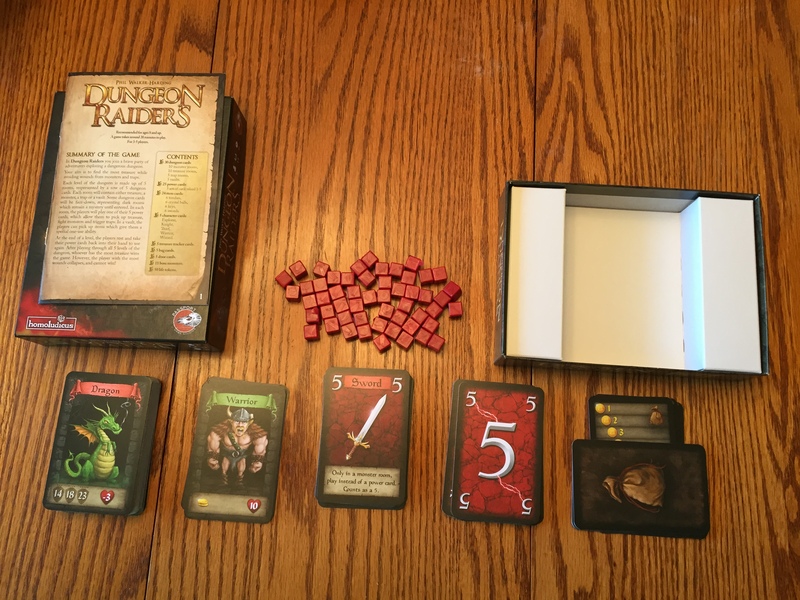 With sturdy components, a good price tag and fast and furious setup and game play you can’t go wrong with Dungeon Raiders. In the end the DM says it’s a good buy!